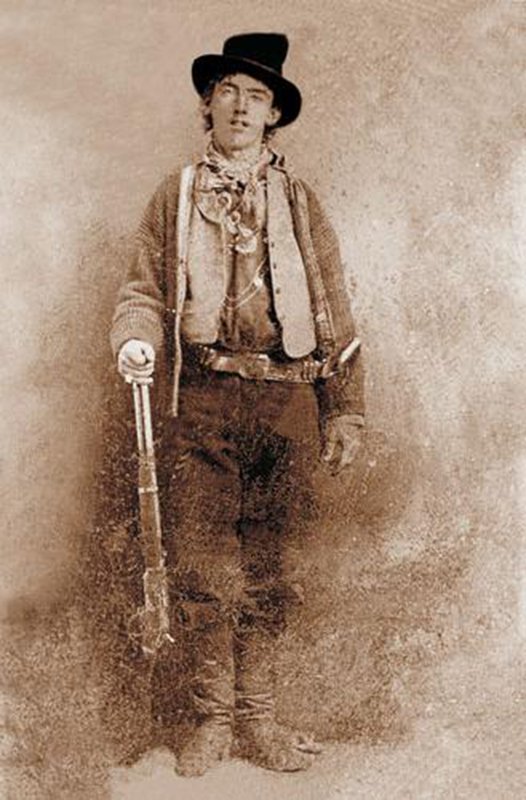 Henry McCarty (1859 – 1881), better known as Billy the Kid. He was a gunman who is famous because he participated in the Lincoln County War. He also became an outlaw in the Old West. It is said that he killed between 8 to more than 20 men; never the less what is certain is that his first killing was in August 17, 1877. He is often described as a “neat” dresser, and liked an “unadorned Mexican sombrero”. The fact that he was friendly, not specialy tall (173 cm) and had a smooth complex allowed him to gain certain sympathy among population. He became a legend in 1881 when New Mexico’s governor, Lew Wallace, placed a price on his head. In addition, the Las Vegas Gazette (Las Vegas, New Mexico) and the New York Sun carried stories about his exploits.